I went ahead and flushed the engine with one part kerosene and two parts cheap engine oil, after assembling the overhauled head back on the block. Repeated the process and filled the crankcase with cheap engine oil and equally cheap oil filter. The plan was to discard the oil and filter after a few days if I can get the engine to run. By the way, the oil filter I used was meant for the Toyota RAV4, Prado, Unser and earlier Camry, which fitted the Volvo B230 engine perfectly. The engine felt lighter and easier for the starter motor to turn, but no combustion yet. I stopped trying when we (thanks to Azmir for pointing it out) discovered that the main pump has been wired directly to the coil. That caused the injectors to continuously spray fuel into the combustion chambers, and flooding them when no combustion took place. Repeated cranking must have forced the injected fuel past the cylinder walls down to the crankcase, and through the valves back to the intake manifold all the way out through the air filter box. Trying to trace the wires was a lot of fun, aargh! 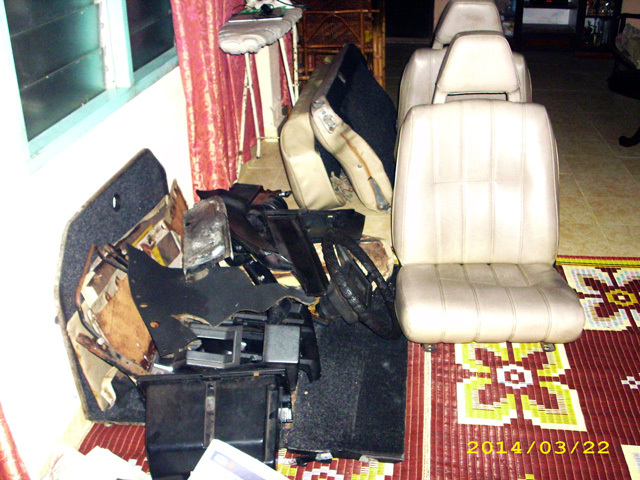 I ended up ripping out all the seats, the carpets and the centre console for more working space. 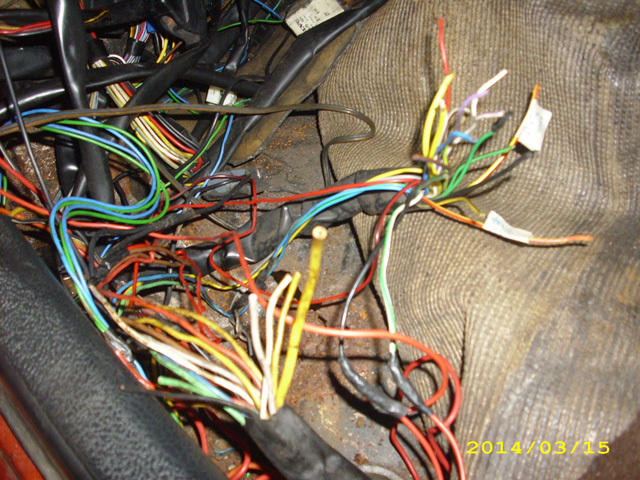 The wiring loom (or harness) came from a half-cut donor car, so everything ended at the front passenger seat. The original loom that came with the car was there too adding to the confusion. Armed with a multimeter, I managed to find the wires for the fuel pumps and connected them to the main relay. Now I can hear a short buzz as the fuel rails are being primed when the ignition is turned on, just the way it should. But still no combustion. 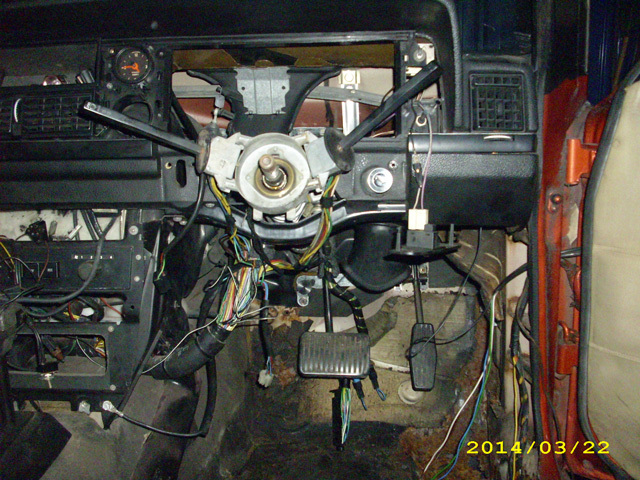 I have checked the ECUs, changed the distributor cover and rotor, even damaged the Air Mass Meter in the process. According to the diagnostic unit, everything is in order. I suspected the Radio Suppression Relay not supplying the impulse to the injectors but it turned out the ECU did not use one. The relay was actually for the air-conditioning cooling fan, which I later have it wired correctly according to the schematic. Next will be the Power Stage which I still have to get one. Somehow I have a strong feeling that will do the trick and fire up the motor. While waiting for the replacement AMM and Power Stage, I turned my attention to the wiring. 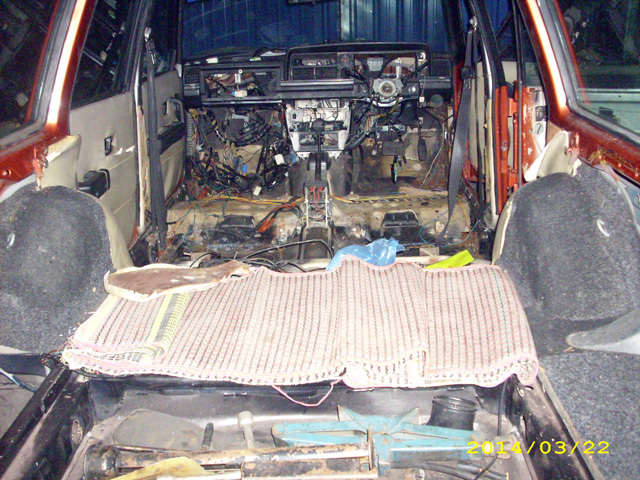 I have ripped out all the redundant wires from the engine bay (two sets of looms for the head lights!) and inside the passenger cabin. There were wires for the power side mirrors which I had no use for as I plan on fitting a pair of old school chrome side mirrors. 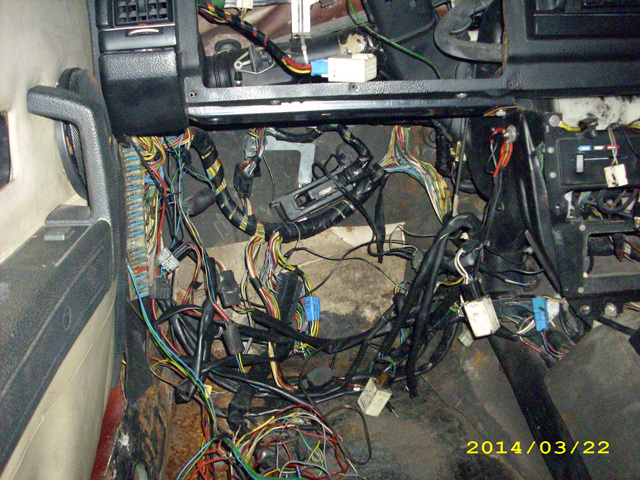 Wires for the power windows and central locking were taken out as well temporarily as they were getting in the way. The previous owner had installed an additional air-conditioning condenser complete with blower fans in the cargo area for faster cooling. I had that removed as well because it would not go very well with the sports wagon concept that I have planned. I have also traced and re-connected all the wire for the rear lighting clusters but those for the tailgate have yet to be done. 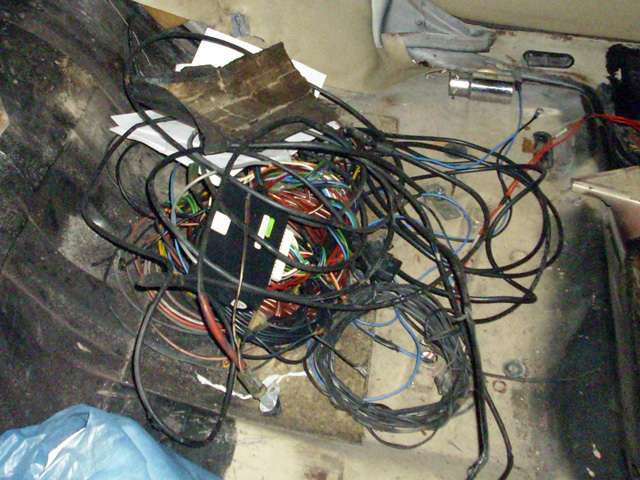 Wires for that area passes through the tailgate hinges and would be more involved to tackle. The indicator wiring have been hacked previously. When I corrected the hack, the left indicators stopped working. The flasher unit buzzed and became hot to the touch. Oh yes, wiring is a lot of fun!